It seemed an impossible record to overcome. When Carlos Sainz retired from the World Rally Championship not only did he become the most victorious driver in history, but he was also the one who accumulated the most participation. Three drivers, Sebastien Loeb, Sebastien Ogier and Marcus Gronholm, managed to overcome him in wins, but so far no one had run more tests than him. Something that will end next weekend. Jari-Matti Latvala, 33, will overtake the Spaniard when he takes the start in the Swedish Rally at the wheel of his Toyota Yaris WRC. 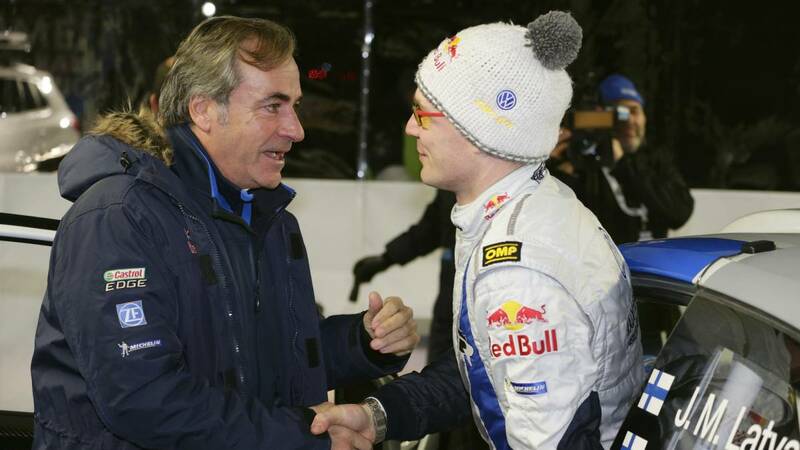 The Finnish driver equaled Sainz in the past Monte Carlo Rally, and now he will beat him. It was a matter of time before someone did it, and Latvala will be the first to break that barrier and, if there are no setbacks, he will be the first to compete in more than 200 rallies. Possibly something that could not dream when the Spanish competed in his last participation in the Acropolis Rally of 2005. Then Latvala had only run in seventeen tests. A few years later, in February 2008, became the youngest winner in history , precisely in the same Rally of Sweden that will crown him as the most experienced in history, to achieve the triumph with 22 years, ten months and seven days. Something that has been repeated later until reaching nothing less than 18 victories. In fact, since then, he has won a rally in all seasons, last in the last round of the year in Australia. "This year's Rally of Sweden is going to be very special for me", recognizes Latvala. Y He continued: "This is where I became the youngest winner in the World Cup, and now I am ready to be the most experienced WRC driver in the same place, only eleven years later. At the moment we have a good amount of snow here in Finland and I hope the conditions are similar in Sweden, so we should have a really nice and fun winter rally, hopefully we can be fighting for another great result like we had in Sweden in 2017 with the first win for the Yaris WRC. I need to have the sensations that were missing in the Monte Carlo appointment. "